California SR-1 Report of Accident is an official form from the CA Department of Motor Vehicles. The purpose of this document is to set forth the details of an auto accident that occurs anywhere in the golden state. Many Californians are not aware of this document, when it is required to be completed, how to fill it out and how to file this with the DMV and the benefits of documenting an accident claim through this form. I thought I would write a blog post today detailing this information for the assistance of anyone in CA that is involved in an auto accident. What Types of Car Accidents Require Completion of an SR-1? 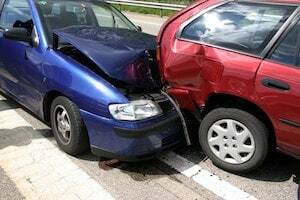 Therefore, if you are in and accident and your own car or the vehicle of the person who hit you has damage of $750 or if you damage any other property such as a sign, post, light fixture or other roadside object and the estimated cost of repair is at least $750, an SR-1 must be completed and filed. Likewise, if any passenger or driver of any motor vehicle involved in a vehicular crash within the Golden State claims any type of personal injury or if anyone is killed, the Traffic Accident Report must be completed and filed with DMV. Likewise, any “reportable off-highway accident” where there is $750 of property destruction or injury or death, also requires completion and filing of an incident report under California Vehicle Code 16000.1. This would include any automobile collision in California even if it doesn’t happen on a street or freeway. So crashes in parking lots, driveways, or any private property are also susceptible to this reporting rule. What Information Must Be Included in a “Report of Traffic Accident Occurring in California”? Injury and Property Damage Information: This includes the name, address and telephone number of any driver, passenger, bicyclist or pedestrian that was injured and the same identification for owners of property damaged in the collision. The main benefit of the SR-1 completion and submission to DMV is compliance with the law. Failure to file the advisement can result in driver’s license suspension or other affects to your driving privileges. In addition, the SR-1 is a pre-requisite for submission of a California DMV Form SR-19 , which can be used to ascertain and confirm insurance information for both drivers and vehicle owners or a certificate of non-insurance. Many times, the driver of the vehicle is not the registered owner and there are two, separate insurance companies that may have involvement with any later claims for personal injury or property damage. In addition, when the driver at fault is uninsured, your insurance carrier will want proof of non-insurance prior to initiating or completing an uninsured motorist claim. The SR-19 request will provide all of this information and allow for better and faster processing of all applicable insurance claims related to personal injury, wrongful death and property damage. Although the Report of Traffic Collision is a fairly straightforward DMV form, it is important that it is filled out properly, filed timely and that it is followed by an SR-19. This assures that any driver involved in a traffic collision in California will not have their driver’s license or driving privileges affected by the failure to report the accident. Likewise proper procedure assures that auto insurance claims for any persons injured or killed in a traffic collision are filed with all appropriate auto insurance carriers for both vehicle owners and drivers. A quality car accident lawyer can complete this process for you. For any car accident injury or wrongful death claims anywhere in California call Steven M. Sweat APC statewide in the Golden State at 866-966-5240.